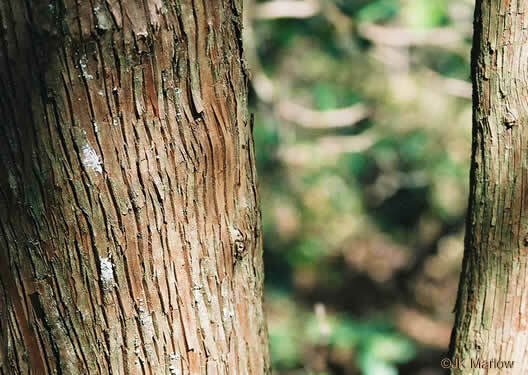 Bark is brown, thinly furrowed or flaky, per Woody Plants of the Blue Ridge. 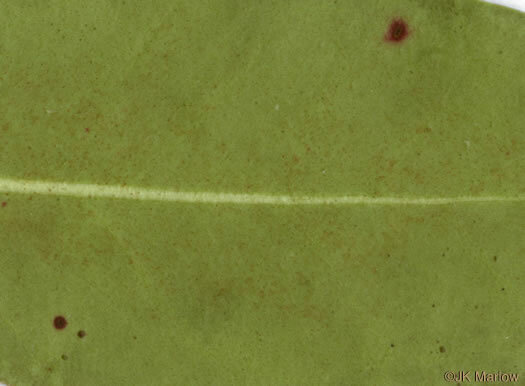 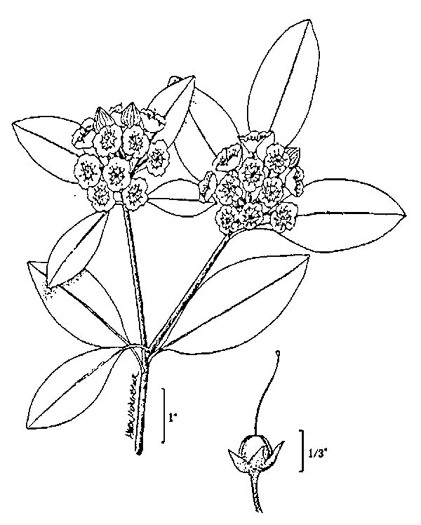 The corolla, of 5 fused petals, is about 0.5" broad, per Wild Flowers of NC, 1st edition. 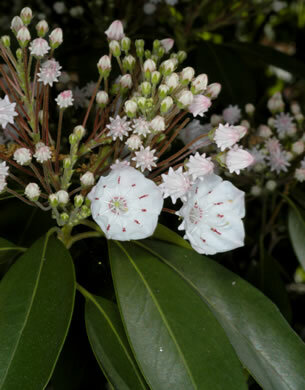 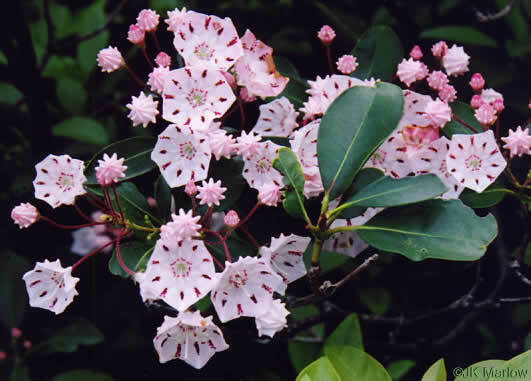 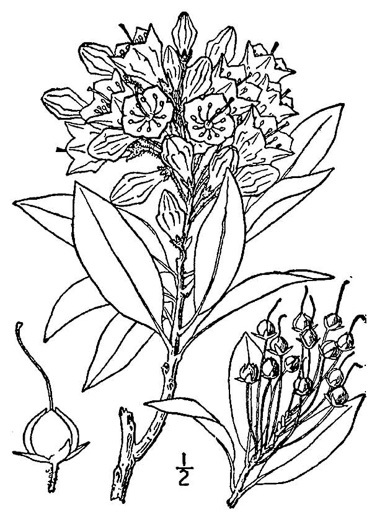 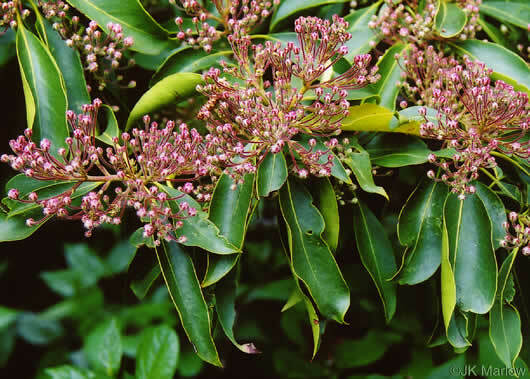 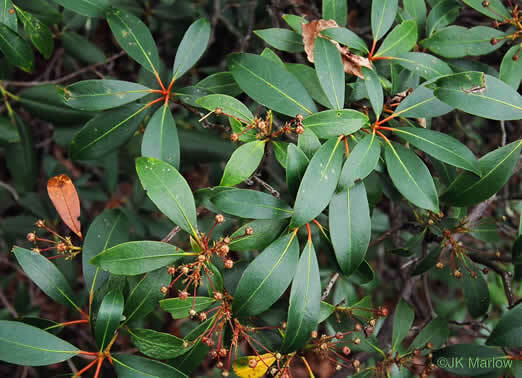 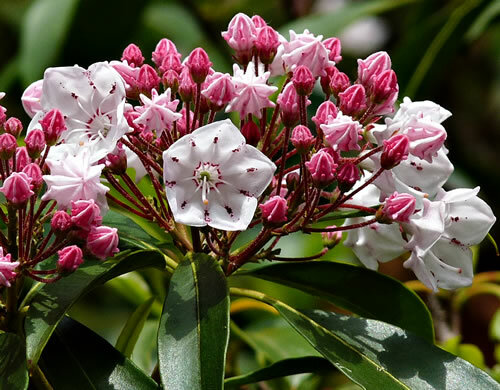 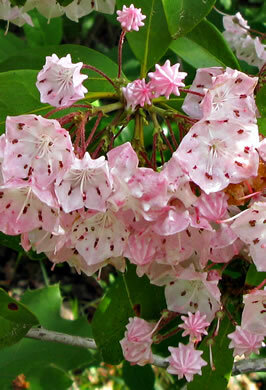 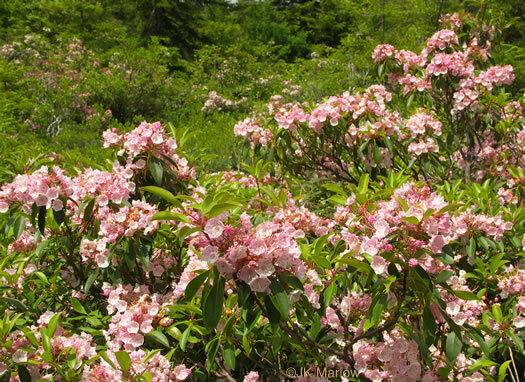 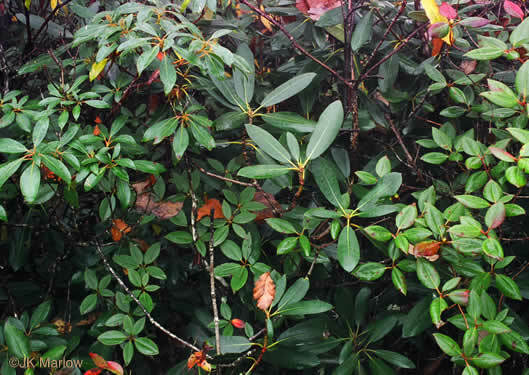 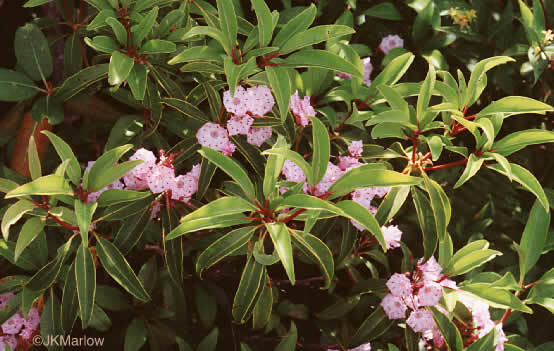 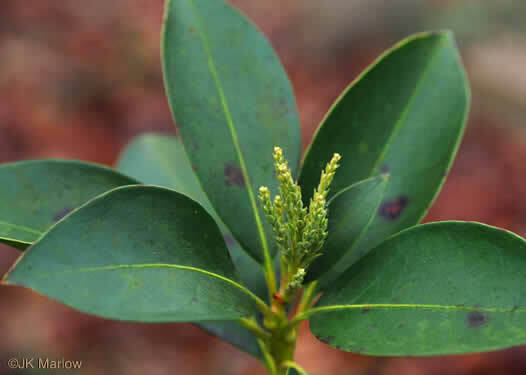 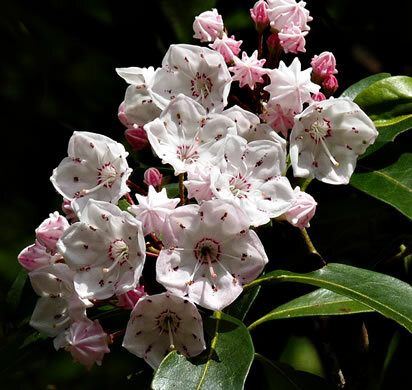 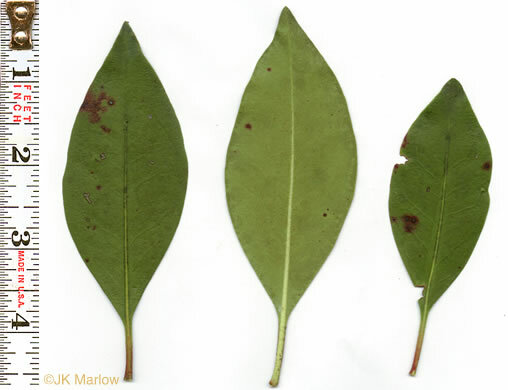 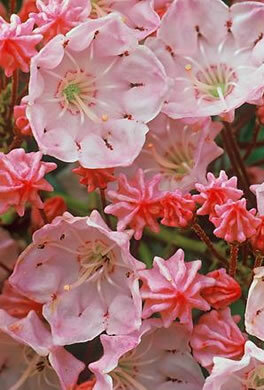 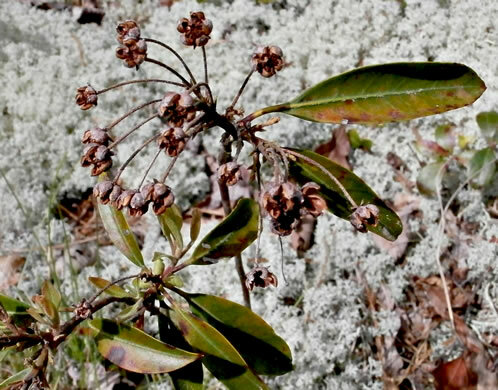 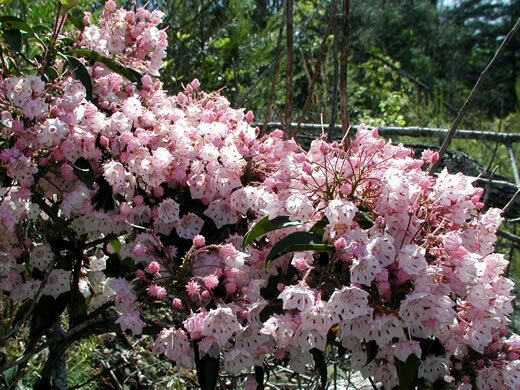 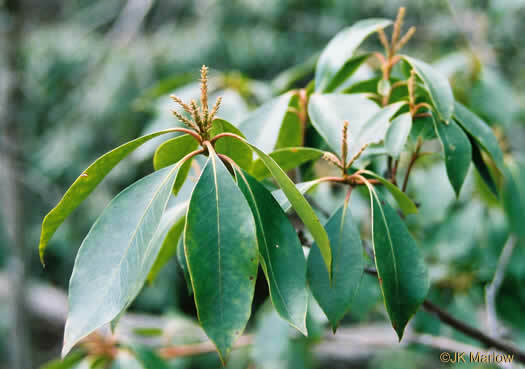 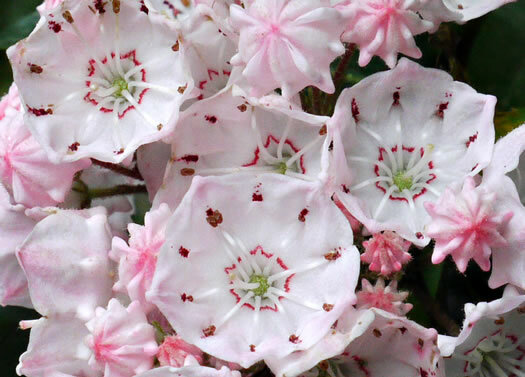 All Kalmia's foliage and wood (and the smoke from burning them) are poisonous, per Weakley's Flora. 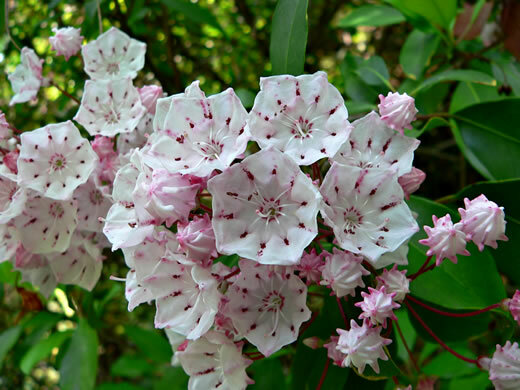 Usually with purple around the 10 pockets in which the anthers are fitted, per Guide to the Wildflowers of SC.